Manufacturer of a wide range of products which include dicyclomine hydrochloride paracetamol tablets, diclofenac potassium tablets, diclofenac sodium injection, febuxostat tablets, aceclofenac tablets and aceclofenac paracetamol and chlorzoxazone tablets. 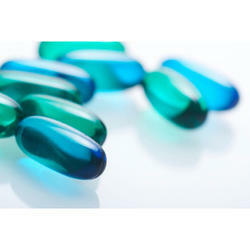 Pharmacology is a crucial part of medicine wherein various drugs are used to advance the well-being of an individual. Some drugs cure the infection or a disease; few prevent the occurrence of a symptom or a disease, and few are used in long-term treatment of the disease. Drugs are obtained from the plants as well as they can be synthesized organically. The drugs are used in various combinations or a single drug by the pharmaceutical industry during its preparation. The half-life of each drug is different, and the dosage of the drug depends on the half-life of the drug. 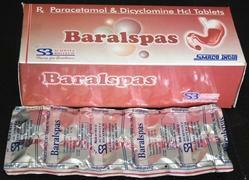 The below information gives the detailed description of Dicyclomine 20MG + PARACETAMOL 500MG TABLET drug. Aceclofenac 100 MG Tablet is a non-steroidal anti-inflammatory drugs (NSAIDs), prescribed for people with painful rheumatic conditions such as osteoarthritis, rheumatoid arthritis and ankylosing spondylitis. Aceclofenac 100 MG Tablet works by blocking the effect of cyclo-oxygenase (COX) enzymes which make chemical prostaglandins at sites of injury or damage, causingpain,swellingand inflammation. It eases pain and reduces inflammation. This medicine should not be given duringpregnancyor to mothers that are breastfeeding. Is not recommended for children. This drug is available in tablet form and is taken orally. 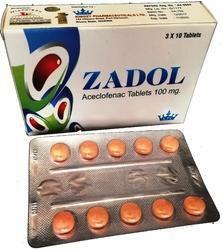 Aceclofenac 100 MG Tablet has side effects includingdiarrhoea,stomach pain,nausea, constipation,vomiting, skinrashesetc. If the side effects are severe or persistent it is advisable to consult your doctor. Dose/Strength 100 mg. 325 mg. 250 mg. Effective Analgesic, Anti pyretic & anti-inflammatory with Muscle Relaxant properties. Effective in painful inflammatory conditions associated with Musculo skeletal system. 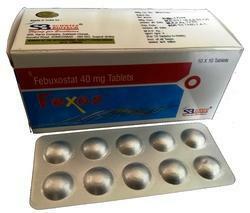 Box Pack of 1 x 10 Tab. 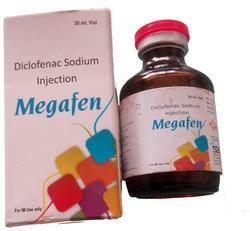 Diclofenac is used to relieve pain, swelling (inflammation), and joint stiffness caused byarthritis. Reducing these symptoms helps you do more of your normal daily activities. 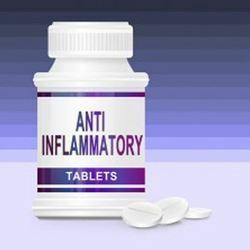 This medication is known as a nonsteroidal anti-inflammatory drug (NSAID). Our rich industry expertise in this domain has enabled us to offer Deflazacort Tablets which is used in situations where treatment is necessary; the offered tablets are processed with finest quality ingredients and with the aid of latest formulation techniques at our highly equipped labs. 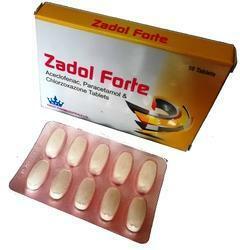 These tablets effectively serve the various medical purposes and broadly demanded in medical sector. 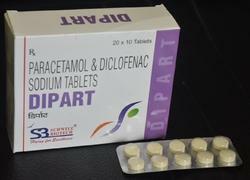 Diclofenac Potassium is a non-steroidal anti-inflammatory agent (NSAIDs) with antipyretic and analgesic actions. For the treatment of mild to moderate pain. For the relief from the signs and symptoms of osteoarthritis. For the relief from the signs and symptoms of rheumatoid arthritis. Headaches, muscle and joint pain. Serious diseases like cancer and heart disease. Acute or chronic ear, nose or throat disorder. contributes to proper drainage and a quicker recovery. production of prostaglandins by inhibiting COX-1 and COX-2 pathways thereby exhibiting anti- inflammatory effects. Distribution: Distributed throughout the body tissues, unchanged via systemic circulation. It reaches in higher concentration in inflamed tissues. porphyria, peri-operative pain in CABG surgery patients and bleeding disorders. triamterene, cyclosporine, cholestyramine, colestipol, digoxin, aspirin, methotrexate and lithium. Diclofenac potassium + Serratiopeptidase should be taken with food. Take the drug immediately after meals to avoid GI disturbances. 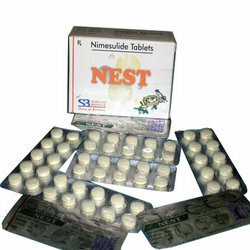 Available under brand name NEST, Nimesulide Tablets offered works as non-steroidal anti-inflammatory drug that is suitable to be taken for back pain, painful inflammatory conditions, fever, postoperative pain and osteoarthritis.